TrustedPersonalLoans is subsidy of the TrustedLoanNetwork. 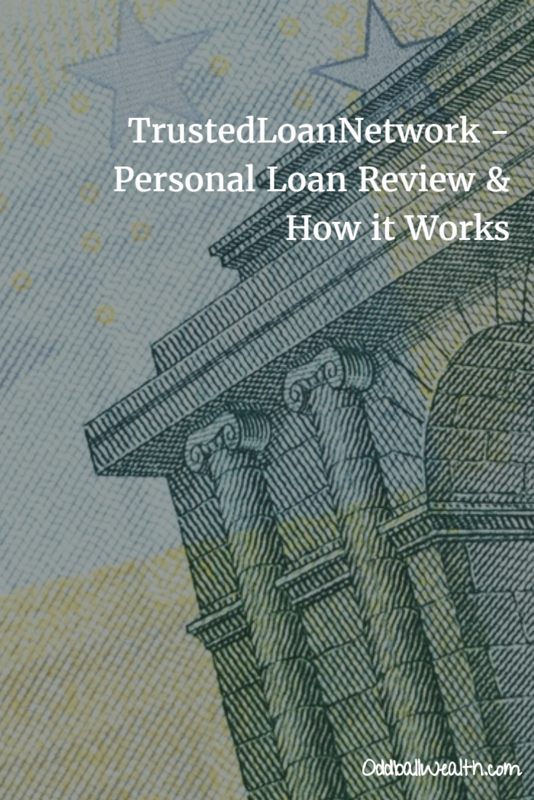 TrustedLoanNetwork is not a direct personal loan lender. Instead they work with a large network of proprietary service of direct lenders to help you get the loan you need. You can apply for a personal loan using the secure application process at TrustedPersonalLoans to conveniently get matched directly to a lender. This saves you the consumer time and energy, and their secure application process keeps all your information protected and safe. When you fill out TrustedPersonalLoans short and easy application, based on your needs they will match you with a lender in literally a matter of seconds. They have a very large network of direct lenders that will provide you with the loan and cash you need. Before your loan is finalized, the lender will present you with the specific loan terms and other loan options. After your loan in finalized, the cash will be directly deposited into your bank account, or if you can pick up your money at a physical location if it’s more convenient for you. As stated above, TrustedLoanNetwork isn’t a direct lender, they work by matching your personal loan application with the best lender from its large network of providers. You’re able to borrow anywhere from $500 to $10,000 with Trusted Personal Loans, although the full amount you’re approved for will depend on a couple of different factors. The nice thing is applying for a loan is quick and easy and approved funds are quickly disbursed. Repayments can be made either once or twice a month, and you won’t be penalized for paying off your loan in advance. Allows you to apply for a personal loan and be matched with one or multiple lenders. When your application is matched with an appropriate lender, generally the lender will get in contact with you. The lender will provide you with additional information, such as a loan contract which maps out details of the loans terms, including any fees or charges. It’s always in your best interest to review the loans contract details closely before accepting a loan. If you choose to accept a loan, your funds will be disbursed quickly, and the money can be directly deposited into your bank account the very next business day. Repayments on the loan will depend on your loans repayment plan. Getting a personal loans from Trusted Personal Loans has a number of benefits and features that you should know about before you start the application process. Quick and easy application process. Their quick 3-minute application process gives you a list of low-interest loan options to choose from for your personal loan, no matter your credit score. The entire point of TrustedPersonalLoans is to match every borrower with a loan and financing options. Borrow as much as you need. When getting a personal loan from TrustedPersonalLoans you’re able to borrow as little as $500 or as much as $10,000. Flexible repayment options. You can choose whether you want to make repayments once or twice a month. If you repay the loan sooner than required, there are no early repayment penalties. You are not obligated to pay any fees until acceptance of a loan. When you accept a loan, the lender will provide you with clear and precise information indicating any fees or other costs incorporated with the loan. To apply for a personal loan, go to the TrustedPersonalLoans website, which you can do now by clicking the “Visit Trusted Personal Loans” button. You can compare Trusted Personal Loans to other lenders and loans, to compare rates and loan terms by visiting “Best Personal Loans and Lending Rates for all Credit Types“.